I remember being in school and experiencing a lot which added to a lot in my mental health in that period of time. I was growing as a young lady in this savage world and I’m the type of person who might not say much but my emotions show through my body language and facial expressions. I would get unsolicited comments from students my age saying, “You look so depressed”, “What’s wrong can’t you smile”, among other comments. At those particular moments in time, my thoughts were to hide away and to never show my face ever again. I thought to myself, “How would they know if I’m depressed or not?”, “Do they even know what depression is?”, “They’re being harsh, maybe it’s best I just say nothing because other people will end up talking to me in the same manner”. The thing is, I was suffering from severe depression but I didn’t even realise how bad it was and thought maybe it would be best to just keep it to myself than to suffer scrutiny which would make me feel even worse. A really big reason for not speaking up about how I was coping with my mental health was because of my surroundings. The feeling that I would feel a weight of guilt if I ever spoke up about my needs, especially as my immediate family was dependant on me as the young carer in the family. I had also seen how family members were treated regarding their mental health and thought if I said anything about mine it would be selfish and I’d be letting everyone down. I was also really petrified to experience any similar heartwrenching occurrences that had happened to loved ones, so I bottled it all up in fear that I’d be harmed more than helped. I expressed certain things to ‘friends’ but always felt their responses to show signs of me being burdensome, a lot of friendships were cut short and it lead to me withdrawing even more into my shell and putting on a brave face just to get by but not really expecting encouragement or any listening ears although I would automatically do that for them. My first ever experience of going to Therapy was in 2015. I had finally spoken up to my Doctor in 2014 about how much I was struggling and a form was filled out for a referral. I didn’t hear any response from mental health services in that year so I got discouraged and left it despite it being a critical need. By 2015 I spoke to my Doctor again and I was given the number for self-referral to call up and go through a phone interview (I hate phone calls). Anyways, I plucked up the courage and I eventually started doing CBT in 2015 but because of not being able to get there all the time due to chronic health issues it turned out to be very drawn out and lasted a whole year instead of 3 months, but with many gaps. My view of Mental Health Services and any health services for the matter is forever changing; 1) as I get older, 2) as my needs change, 3) as I connect more with others in similar situations. It’s so hard to speak up about your mental health and expressing your needs and concerns, but it’s so important to do so! I’m still learning this importance and taking it each day at a time because I realise that health in all aspects and areas of life is a journey, not a destination. In June of this year, I touched a little bit on my own mental health in a post. I didn’t go into detail but just mentioned generally how I’d been coping with my chronic illnesses and mental health struggles. Fast forward to October and I’m now writing articles on the topic of mental health, opening up more about my journey and connecting with others who are alike. It’s a completely alien feeling for me to even open up about mental health as I’ve always been one to keep stuff to myself. As an introverted loner, my idea of ‘speaking up’ was the equivalent of literal torture. I’m still learning to vocalize my mental health needs despite my fears and I feel blogging has helped me in this area. When I first started posting blogs it felt like I was on a stage at an arena with thousands of people staring into my little world, as time goes on I’m learning how to maneuver on this platform and my fears are easing a little. As I stated above, “health in all aspects and areas of life is a journey, not a destination” which of course includes mental health. To those of you who may not know what to say to someone who is suffering from a mental illness, you can still be a listening ear and a friend. The smallest things can end up being the biggest blessing to someone in need. I can definitely attest to the fact that speaking up feels painful, but what’s even more painful is suffering in silence. I encourage anyone who is going through a similar situation or any situation where you just don’t feel comfortable whether physically and/or mentally to…Speak Up! Big, massive thanks to, Johnzelle for linking up for this month and letting me share this guest post. 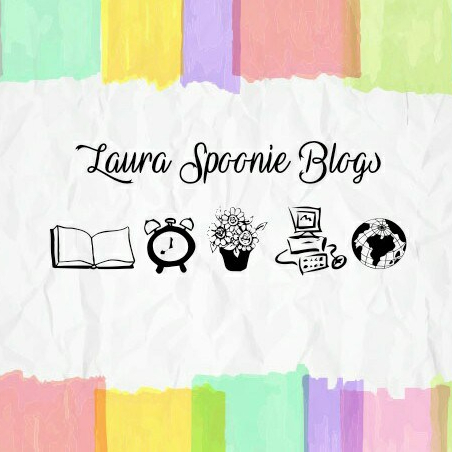 Go check out Johnzelle’s post over at, Perfectly Imperfect also being posted up next on my blog – Laura Spoonie Blogs. I’m sorry your experience with mental health services wasn’t exactly smooth, but it’s wonderful you sought the help you needed. There’s something truly terrifying about saying the words out loud; about admitting that you don’t feel right and you know it in your heart. You should be proud of yourself, and the journey you are on. You are an inspiration. “The smallest things can end up being the biggest blessing to someone in need.” A truer sentence has never been written. The community appreciates you and we’re rooting for you, Ruth. Thank you for stopping by!! It’s definitely a challenge but I draw strength from knowing that other people may just read it and be inspired to find their voice and speak up also. P.S you basically just made an example of my quote… By taking the time to share love!